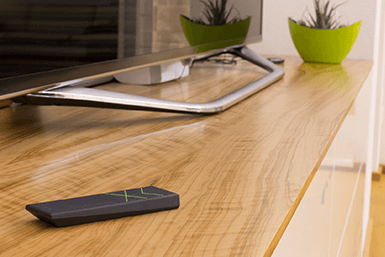 Quickly and Easily access all of your smart home features with the Loxone Remote Air! Control Lighting, Home Security, HVAC, Audio/Video, Shading and more! 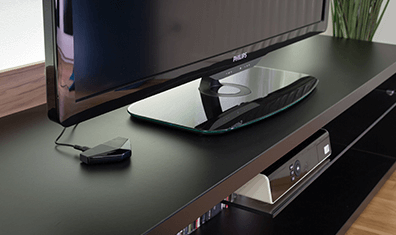 With the Remote Air, you can control Smart Home functions of your choice such as lighting, blinds, music and much more. You can assign the five buttons according to your personal choice or stick to the standard button settings. 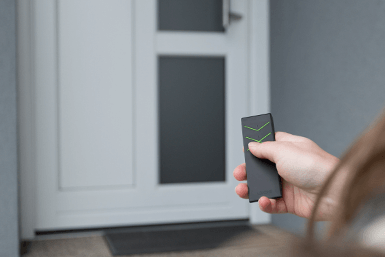 The Remote Air was created using Loxone Air wireless technology, which was especially developed for Loxone Smart Homes. By using the Miniserver and the Air Base Extension or the Miniserver Go, the Remote Air can function as a handy controller for your home. 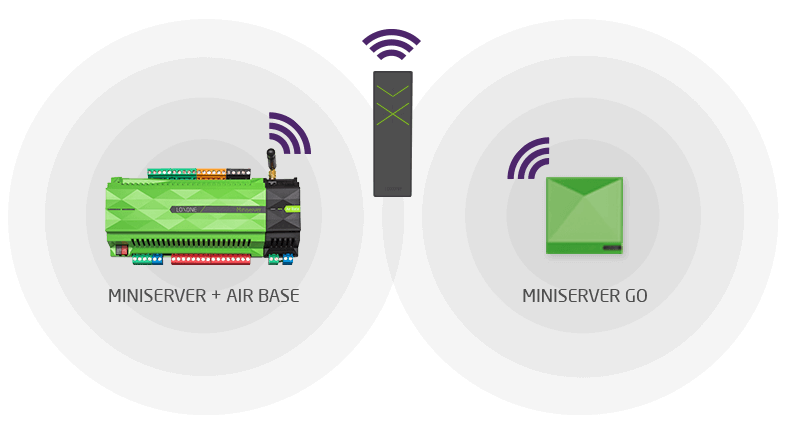 In a Loxone Smart Home, control is in the palm of your hand. 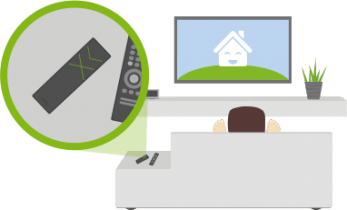 The smart remote control can control everything in your Loxone Smart Home. Whether it’s lighting, blinds, your garage door or security alarm. Use your Remote Air to control the lighting, blinds or music in your summerhouse. Lights on or off, shutters up or down, music on or off, change the music source… It’s convenient, quick and easy! One possible use of this smart remote, which is based on the Air system, is operating your garage door. One click on the Remote Air and you can open or shut the door from inside your car. You can also use the Remote Air to activate or deactivate your alarm system. One click of the smart remote control switches the security alarm on or off. The exterior lighting will flash twice so that you know that the alarm system is now on. With one click, you can turn the music system in your Loxone Smart Home on or off, up or down, and change the source… Sounds great, right?